We've got another new sketch for you today. For my card I inked up the sweet Fall Friends stamp set. 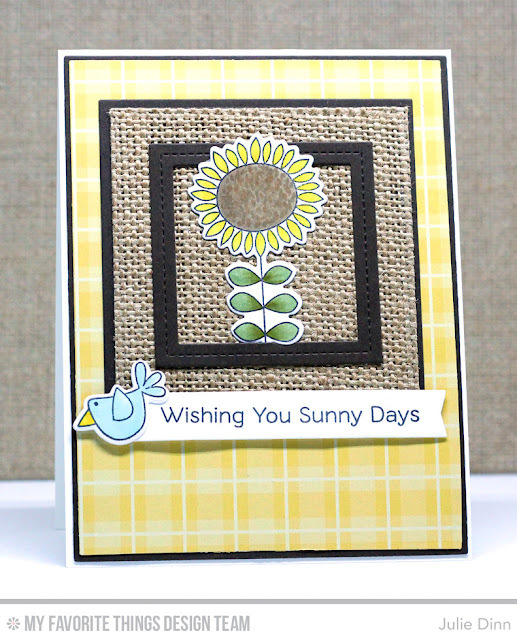 I paired it with some burlap and a print form the County Fair Paper Pack. I just LOVE using burlap on fall cards! Be sure to check out the MFT Challenge Blog to see all the fabulous cards the team and our amazing customers made with this new sketch. This is so cute! That burlap texture is perfect! Are You Yeti for Christmas?